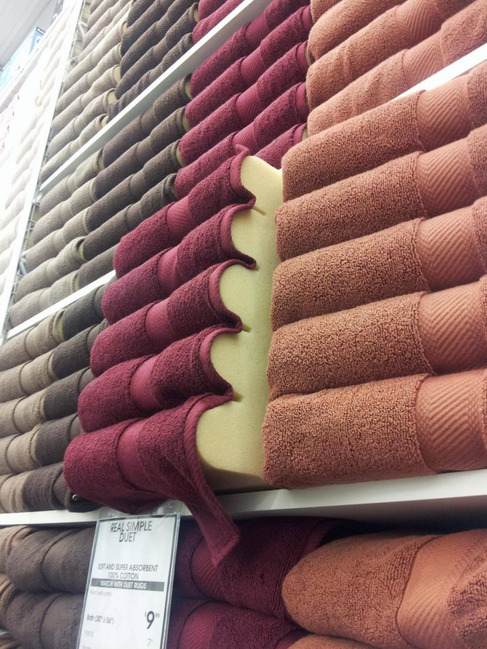 Bed Bath & Beyond is famous for its immaculate towel displays that reach the ceiling. But the website Neatorama revealed what’s really under the towel facade. “We’ve been sold a bill of goods!” Neatorama exclaimed on its Facebook page.